If so, why not come and join the Lyric Club for our next show – the all singing, all dancing Gershwin musical ‘Crazy for You’? Our President, Lorna Ramsay, was delighted to be able to hand over a cheque for £2,000 to the Brightest Star Charity following our fundraising efforts during our 2013/2014 season. 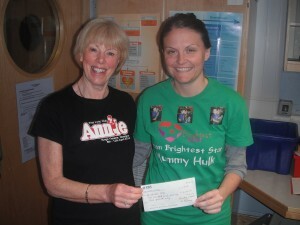 Many thanks to the cast, crew and audiences of Annie for their generous donations! Our next production will be the all singing, all dancing Gershwin Musical ‘Crazy for You’! This will be performed at the Kings Theatre, Glasgow from 18th – 21st March 2015. 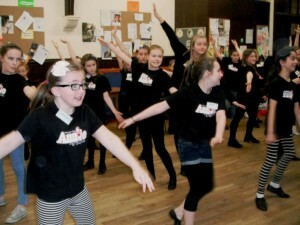 If you would like to be part of this production go to our ‘Join Us’ page and contact our Club Secretary. This Gershwin extravaganza is filled with song, dance and Ken Ludwig’s hilarious dialogue. The audience will be swept up in an artfully constructed tale of boy meeting girl in the Wild West, where they spread goodness and ultimately fall in love. The curtain opens on that most magical of places, backstage at the Zangler Theater in New York in the 1930′s. The last performance of The Zangler Follies is wrapping up for the season and Tess, the dance Director, is dodging the advances of the married Mr. Zangler. Bobby Child, the rich son of a banking family, is backstage hoping for an audition with Zangler. Bobby performs K-ra-zy for You, but fails to impress Zangler after landing on Zangler’s toe during the final flourish of his dance routine. Dejected, Bobby heads outside. Bobby is met by Irene the wealthy woman to whom he has been engaged for five years, and then by his mother who demands that Bobby carry out a piece of banking business for her. Bobby is told to go to Deadrock, Nevada to foreclose on a rundown theatre. As the two women argue over him, Bobby imagines dancing with the Follies Girls and joins them in a rousing rendition of I Can’t be Bothered Now. Brought back to reality, Bobby decides to escape to Nevada. When Bobby arrives in Deadrock, it is clear that the town has seen better days. The men sing Bidin’ My Time in a long, slow drawl. Everett Baker is expecting a banker named Bobby Child to arrive and foreclose on his Gaiety Theater. The only woman left in this forlorn town is Everett’s daughter, the spunky Polly Baker, who vows to get even with “Bobby Child” if she ever meets him. Bobby falls in love with Polly at first sight, not realizing who she is, and expresses his excitement in Things are Looking Up. Lank Hawkins, the owner of Deadrock’s saloon, and Polly’s ardent suitor, is not pleased to see a rival for Polly’s affections. Bobby finds himself in quite a bind. If he forecloses on the theatre, he will lose the girl he loves. Inspired, he comes up with the idea of “putting on a show” to pay off the mortgage. Polly agrees to this plan until she finds out who Bobby is – that banker from New York! Bobby is heartbroken, but he decides to put on the show anyway, disguised as Zangler. Polly, deeply hurt, expresses her loneliness in Someone to Watch Over Me. A few days later, ten Follies Girls on vacation from The Zangler Follies appear like a mirage in the desert. 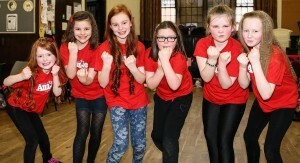 Bobby has asked them to help stage a spectacular show in Deadrock. When the men of Deadrock see the girls, the sleepy town becomes very lively. Meanwhile, to Bobby’s dismay, Irene arrives, threatening to expose Bobby’s charade. Polly falls in love with Bobby’s impersonation of Zangler, and expresses her love for “Zangler” with the song Embraceable You. Opening night arrives, but everyone is disappointed to find that the only ticket buyers are the Fodors, an English couple writing a guidebook to the American West. What starts out as a disappointment changes into the realization that the show has galvanized the once-sleepy town. They celebrate with a spirited rendition of I Got Rhythm while the actual Zangler stumbles unnoticed into town. Act Two opens in Lank’s saloon where Bobby is professing his love to Polly. Unfortunately, she is still in love with the man who she thinks is Zangler. Bobby is about to convince Polly that he has been impersonating “Zangler” when the real Zangler walks into the saloon looking for Tess. Zangler finds Tess but refuses her request to produce the show. Tess storms off. Zangler, now drunk, bemoans his fate. Bobby, dressed like Zangler, reels in to drown his sorrow over losing Polly. The two men act as mirror images of each other and lament their lost loves in What Causes That. The next morning, Polly sees two Zanglers passed out together. She realizes that Bobby was telling her the truth, but she feels hurt by his deception. The townsfolk vote to give up on performing the show again. Bobby is disappointed and decides to return to New York when Polly refuses to admit that she wants him to stay. Before departing, Bobby thanks her for the memories by singing They Can’t Take That Away From Me. Polly then mourns her loss in But Not for Me. Zangler agrees to stay in Deadrock and back the show after all. He spends his last dollar putting together a top-notch production to show Tess how much he loves her. In New York, Bobby’s mother gives him the deed to the Zangler Theater. Bobby’s happiness evaporates as the Follies Girls remind him in Nice Work If You Can Get It that nothing matters as much as true love. Bobby takes off for Deadrock and Polly. Deadrock has been transformed into a jewel of a city where the “Deadrock Follies” has been playing to packed houses, and the star of the show is Polly. Nevertheless, Polly misses Bobby and decides to look for him in New York. Polly and Bobby cross paths but are ultimately reunited in Deadrock. Irene marries Lank, and Bobby’s mother (who follows her son out West) is smitten with Everett. Bobby and Polly embrace at last. The curtain falls on a finale of bliss and a reprise of Embraceable You. Lola is an adorable dog we’re sure you’ll agree. The Cast and Production Team are delighted to be working with Lola and her owner Flo this year. 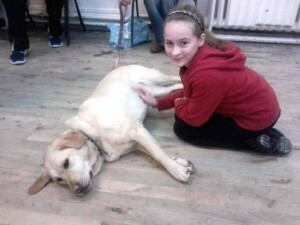 Who say’s never work with children or animals??? http://lyricclub.net/wp-content/uploads/2017/06/new-logo.png 0 0 Webmaster http://lyricclub.net/wp-content/uploads/2017/06/new-logo.png Webmaster2014-03-20 22:15:392014-03-20 22:15:39Meet Lola! Click here to see our latest rehearsal photos. Our Orphans are Never Fully Dressed Without a Smile! http://lyricclub.net/wp-content/uploads/2017/06/new-logo.png 0 0 Webmaster http://lyricclub.net/wp-content/uploads/2017/06/new-logo.png Webmaster2014-01-28 09:47:292014-01-28 09:47:29Our Orphans are Never Fully Dressed Without a Smile! Looking for Props for your next show? http://lyricclub.net/wp-content/uploads/2017/06/new-logo.png 0 0 Webmaster http://lyricclub.net/wp-content/uploads/2017/06/new-logo.png Webmaster2013-11-08 11:58:202013-11-08 11:58:20Looking for Props for your next show? Congratulations to our new junior members! 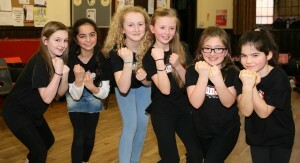 Thank you very much for attending our children’s auditions on Saturday. 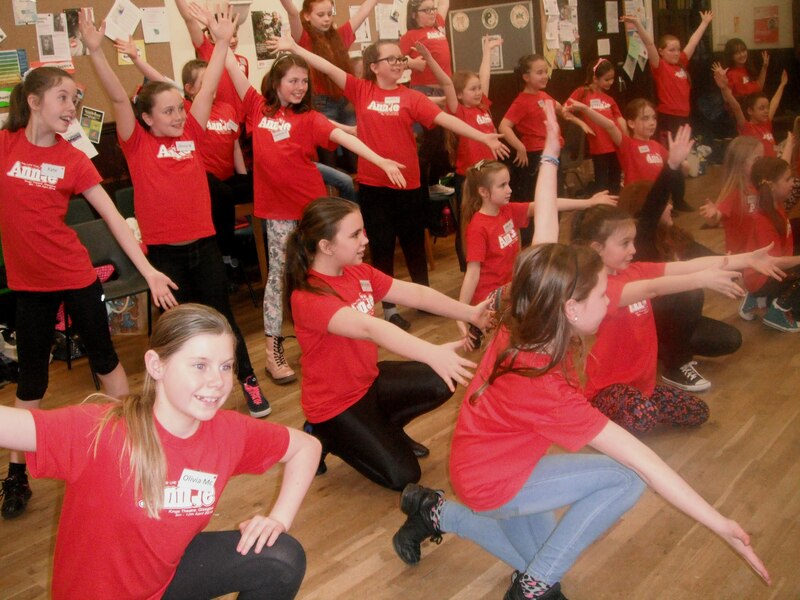 We are delighted to welcome you all to the Lyric Club and the cast of Annie 2014. We look forward to seeing you all at our first rehearsal on Monday 21st October at Maryhill Community Central Halls, 304 Maryhill Road, Glasgow, G20 7YE from 7.00pm-8.30pm. http://lyricclub.net/wp-content/uploads/2017/06/new-logo.png 0 0 Webmaster http://lyricclub.net/wp-content/uploads/2017/06/new-logo.png Webmaster2013-10-09 11:27:482013-10-09 11:40:49Congratulations!